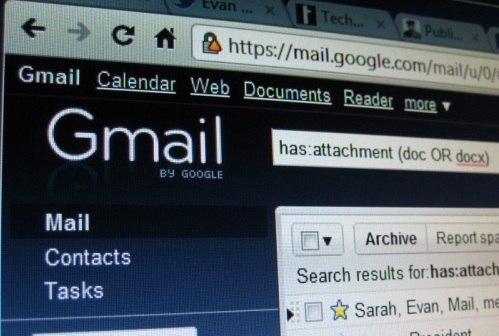 Ask Techerator: How Can I Search Gmail for Specific Attachments? I love Gmail, but I’m tired of digging through my inbox to find important attachments from a long time ago. Is there an easier way to find them? Absolutely. Gmail has some fantastic search features (just like the search engine that powers it), and you can use those to make quick work of your attachments problems. This query will only show messages from “mom” with attachments. Using these tips will help you manage your Gmail attachments and be more productive. Check out our original guide to get even more suggestions, including how to create automatic filetype filters so you won’t have to type any searches in the future. Have a burning question you want answered? Send it to us at tips@techerator.com – we’ll try our best to answer it. And don’t forget to check out the rest of our helpful guides about Gmail! Previous PostPrevious Netflix on PS3 and Wii is Finally Disc-Free!